We’re following up our boys rankings from earlier today with our top 20 rankings for the high school class of 2014, girls edition. Our goal in these rankings is to try and reflect what college coaches look for in recruits, based on many years of conversations. Every coach has different preferences and different details they look at. For example, Tennessee is graduating All-American breaststroker Molly Hannis after next season, who was a big piece of their 200 and 400 medley relay titles back in 2013. They will probably have breaststrokers a little higher on their lists than some other teams out there. 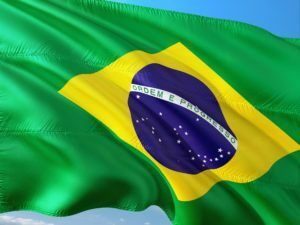 This list focuses on American-based athletes, simply because there is so much uncertainty about international recruits, when they’ll come to the USA, if they have a desire to come to the USA, and once they’ve committed, if they’ll even wind up in the USA. Sprints over distance – Every team needs sprinters, and lots of them. Of course, a special distance swimmer can easily rank ahead of a very good 100 freestyler, but every honest coach in the country knows that the best sprinter in the NCAA is more valuable than the best miler in the country. Improvements – Actual times are a big trump card, but any big improvements in quality can make a difference as well. For example, a swimmer who only took up year-round swimming as a junior in high school going the same time as a swimmer whose been swimming year-round since they were 8 will probably get the edge in our rankings. Think Breeja Larson. 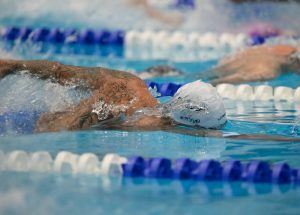 Short Course over Long Course – we recognize that some programs, many programs, put their focus with their high school aged swimmers on long course, especially depending on when the high school championships may fall. That said, college swimming is short course, so a swimmer who is great in short course but struggles in long course will have the advantage. Conference scoring ability – yes, freshmen who score at NCAA’s are incredibly valuable. But college coaches know that their Athletics Directors also want to see success at conference meets, so we’ve factored that in as well. Disclosure: there’s a lot of high school seniors in the country, and no really good, complete, 100% accurate listing of them all. If you don’t see your favorite swimmer on the list, feel free to point them out in the comments. There’s a chance that we disagree with your assessment of their spot in the top 20, and so long as it’s done civilly, there’s no problem with differences of opinions. There’s also a chance that we’ve simply missed a no-brainer (we’ve taken every precaution to avoid that), and if that happens, we want to make sure we correct it. While some of the names further down this list will add more relay value to their respective future teams, there isn’t really any argument here. 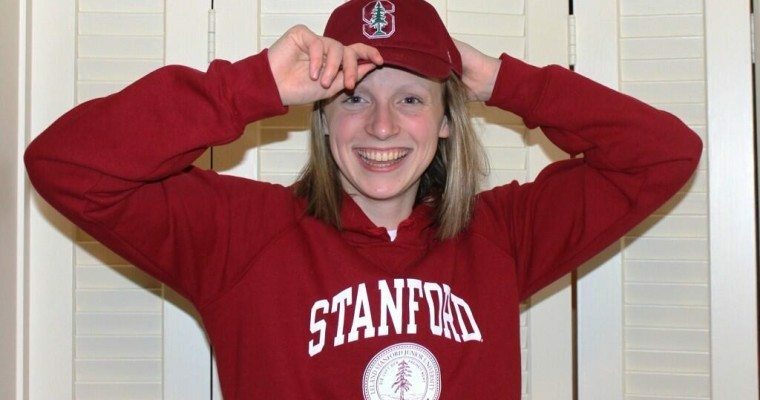 Ledecky is already a potential triple-winner, despite being still a year removed from competing at the NCAA level. She’s already lightyears ahead of the rest of the world in the 500 and 1650 freestyles, and with Missy Franklin likely going pro after next season, the 200 freestyle is her’s to lose, as well. The scary thing about Ledecky… have we actually seen her come down completely for a short course meet yet? While she was certainly hyped and ready for her U.S. Open records in the 500 and 1650 this past February, what could happen when she really puts it all into a short course meet? 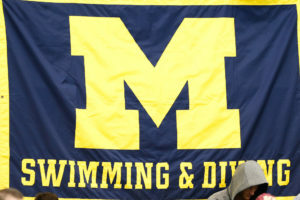 We saw that this year with Missy Franklin, when she finally got a chance to swim a fully tapered short course 200 freestyle (the result was a 1:40.31). Much like Franklin’s 200, or Kevin Cordes’ breaststrokes on the men’s side, we could be seeing some video game times from Ledecky next March. Weitzeil is easily the top sprinter in this class; she’s the only swimmer under 22.1 and 48.2, and will instantly have a spot on both freestyle relays for every squad in the country. Her 21.98 and 47.59 are already fast enough for two A-finals, and her 1:45.49 is just out of scoring contention in the 200 free. Historically, Weitzeil stacks up as one of the top prep sprinters in history. Only Simone Manuel and Janet Hu have been faster in the 50 freestyle, while Manuel, Missy Franklin, and Leah Neal are the only names in front of Weitzeil in the 100. Baker is already fast enough to qualify for NCAA’s in nine different individual events, including four events where she would have A-finaled (100 back, 200 IM, 200 free, and 100 breast). 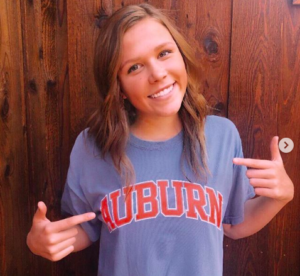 She also would have scored in the 100 freestyle, meaning that as a junior in high school, Baker is already fast enough to earn points in three of the four 100’s of stroke. Butterfly is her weak stroke, where she is “only” the third-fastest swimmer in the class of 2015 in the 100 fly (52.68, good for 26th last year at NCAA’s). Baker has three individual events within the last year where she has exceeded 1000 Power Points according to USA Swimming’s time database. No swimmer in this class (other than Ledecky) has broken that 1000-point barrier more than once. With this kind of versatility and speed, just about any other year, Baker would find herself in the number one spot. Wherever Baker ends up, the coaching staff is going to “burdened” with the “problem” of deciding which events to have her swim. The only swimmer under 52.5 and 1:55.3, McLaughlin is the fastest flyer in this class by a long-shot, with times already good enough for NCAA finals in both distances. She’s also a quality freestyler, with a 200 time that would have landed her a consolation spot last season. While she will be hard-pressed to compete in both the 100 fly and 200 free (they are back-to-back events on day two of NCAA’s), her 1:44.6 will be a big boost to 800 free relays anywhere, and could potentially even become her event of choice on day two. Carmel Swim Club has churned out some great swimmers in recent years, but Bilquist is truly special. As the top 50 swimmer in this class after Weitzeil, Bilquist will be an instant boost on any 200 free relay. Although she is not quite as polished over a 100, her 100 free and 100 back times still incredibly strong, giving Bilquist a great three-event combination for NCAA’s. Bilquist has been chopping off chunks of time for each of the last three years, and still has plenty of room for improvement. Eastin is the first name on this list that isn’t a pure-sprinter, and rightfully so. Her IM swims are fast enough for a pair of A-finals, and she has enough sprint speed (23.39 and 49.77) to contribute on some freestyle relays, as well. She might be an even better long course swimmer, too; Eastin’s 4:38.97 400 IM from Junior Nationals last summer is the fastest 18 and under swim since Maya Dirado back in 2011 (after she had already had a year of college swimming. Coming from the Longhorn Aquatics program, Carrozza has had a pretty heavy long course focus, but has still managed to put up some of the best prep short course times in the country. Overall, she is the second best mid-distance freestyle recruit in this class behind Ledecky, with 200 and 500 freestyle times good enough for B-final swims at NCAA’s a year ago. She also brings a pretty strong 200 back to the table, where she is just a bit outside of scoring position. 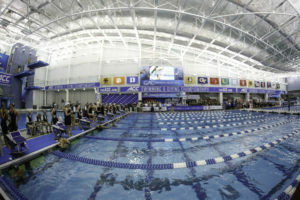 In the long course pool, her long course 200 free (1:58.31) was the seventh fastest overall from an American, and the quickest time from an 18 and under not named “Missy Franklin” or “Katie Ledecky“. At #8 on the list is Taylor Garcia from Holland, Michigan. Garcia is the second fastest backstroker on this list behind Baker, with a 52.07 that makes her one of the best prep swimmers in history in the event. She comes from the same club and high school teams as NCAA All-American Courtney Bartholomew, so chances are she’ll be ready to hit the ground running in her first collegiate season. The thing keeping Garcia down at #8 is that she is first swimmer on this list that lacks a second or third elite event. That’s not meant to be an insult; 53.69 in the 100 fly and 1:55.85 in the 200 backstroke are incredible prep times. However, it’s not enough to move her further up the list. Our first pure breaststroker on this list comes in at #9: Lilly King from Evansville, Indiana. King was a surprise winner and record-breaker at last December’s Junior National meet, where she cut two seconds from her seed time to take home the 100 breast title. King’s track is similar to that of Amy Bilquist (see above). she has made massive improvements over the last couple of years, with that two-second drop at juniors, and an additional six-second drop in her 200 over the past 18 months. However, at this point, like Garcia, King doesn’t have another event to push her further up the ranks. The final name in our top ten is Nora McCullagh, another versatile talent from SwimMAC Carolina. While McCullagh doesn’t have the same top-end speed as Baker, she is still excellent across multiple strokes and distances, including everything from the 100 back (53.59), all the way up to the 400 IM (4:10.33, good for 19th at last year’s NCAA meet). The thing that pushes McCullagh up the list, though, is her added sprint freestyle ability, where she sits at 22.69 and 49.07, both in the top ten in the class of 2015. 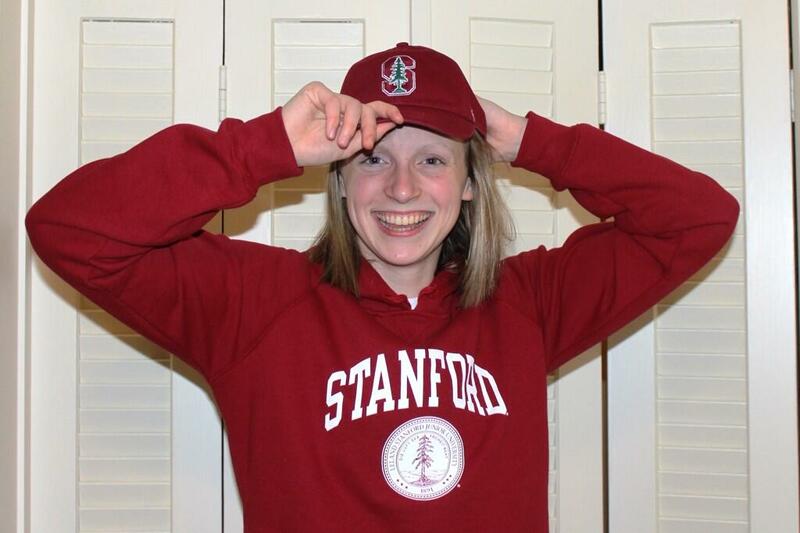 Those times are good enough to already earn a slot on most of freestyle relays nationally, and coming from an elite club program, McCullagh should be ready to jump in and adapt to any college program. Props to NCAP for having the #1 male and female recruits of the class of 2015!! Pretty solid list! I do think that Maddie Hess out of Brandon, FL is worthy of being on the list, with a 23.1 / 49.6 freestyles and strong backstrokes (54.0 / 1:55.7), she’ll def help a college team out at NCAA’s! Great group! In my opinion, the most valuable thing about a recruit is their ability to score in NCAA’s. Due to their versatility I think Kathleen Baker, Katie McLaughlin, and Ella Eastin should follow right behind Katie Ladecky on this list.